Your day-by-day itinerary now includes Brisbane Botanic Gardens Mt. Coot-tha, Lefty's Old Time Music Hall, Gallery of Modern Art, and other attractions you added. There's much more to do: have some family-friendly fun at South Bank Parklands, take in nature's colorful creations at Roma Street Parkland, admire nature's wide array of creatures at Lone Pine Koala Sanctuary, and get great views at Mount Coot-tha Lookout. 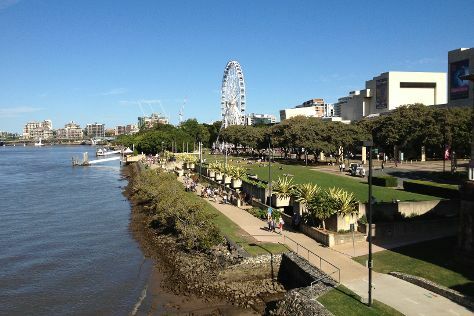 For where to stay, maps, more things to do, and more tourist information, refer to the Brisbane itinerary builder. Use the Route module to find suitable travel options from Kuala Lumpur, Malaysia to Brisbane. The time zone difference when traveling from Kuala Lumpur to Brisbane is 2 hours. Expect a bit cooler temperatures when traveling from Kuala Lumpur in November; daily highs in Brisbane reach 30°C and lows reach 21°C. On the 3rd (Sat), you're off tohome.